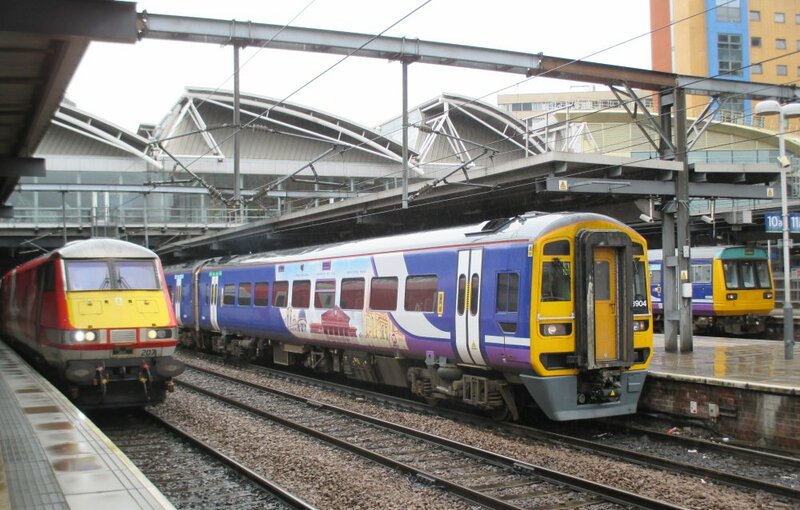 The Class 158/0, 158/9 and 158/9 Express Sprinter DMUs were built for British Rail by the BREL Derby Works between 1989 and 1992. 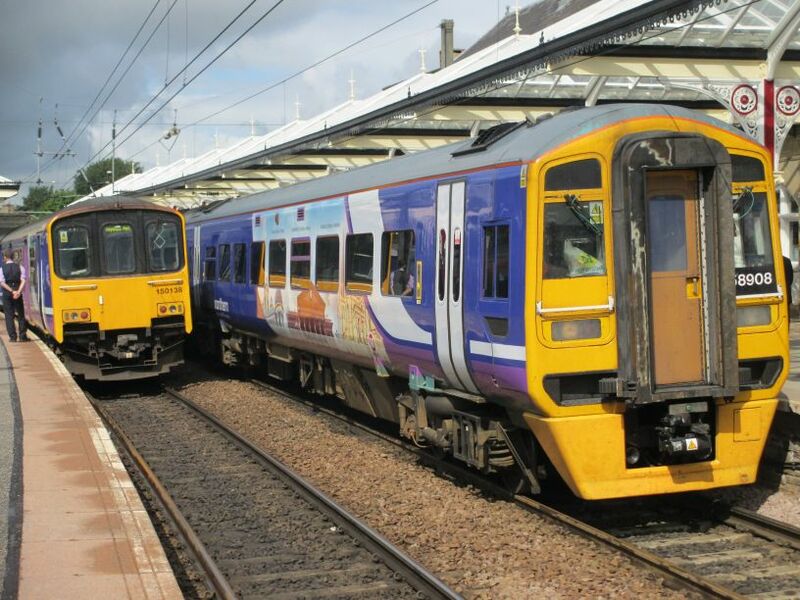 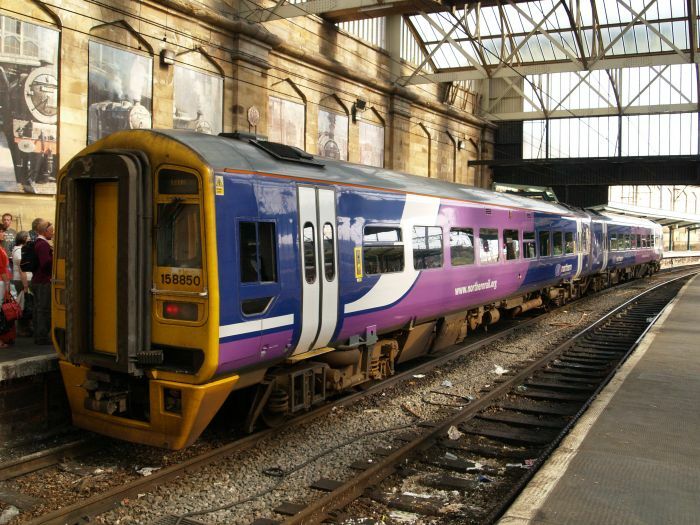 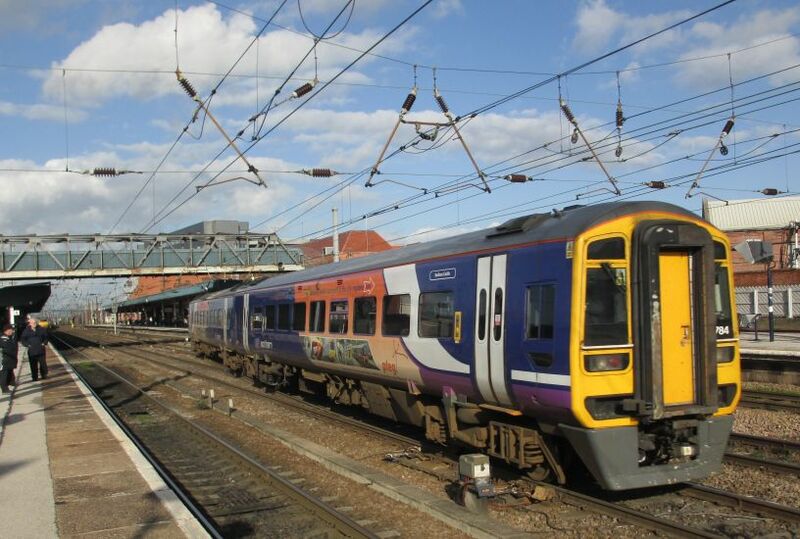 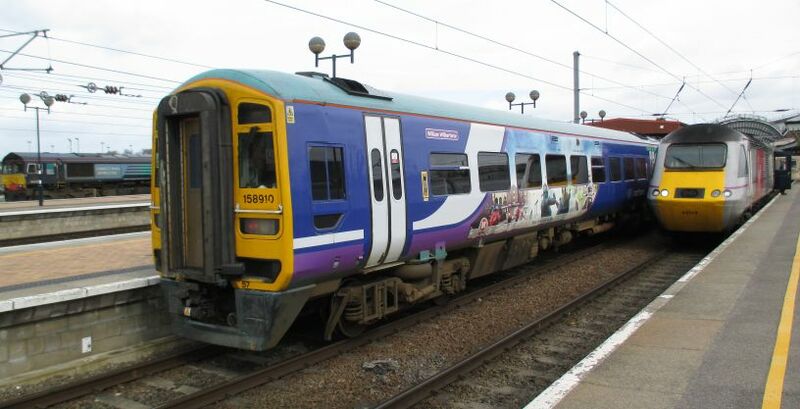 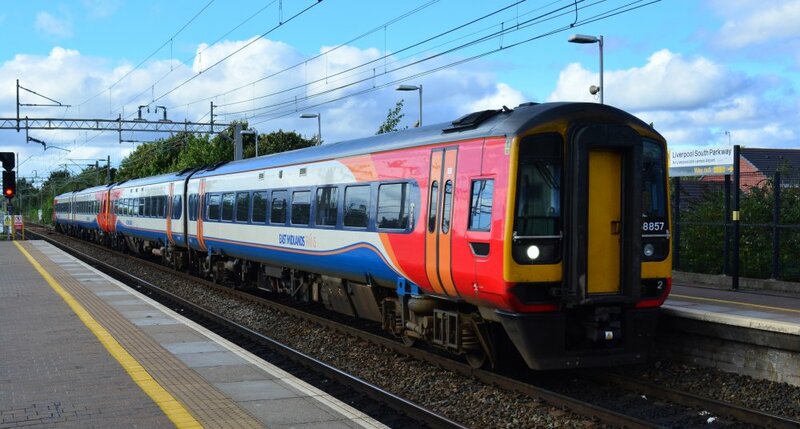 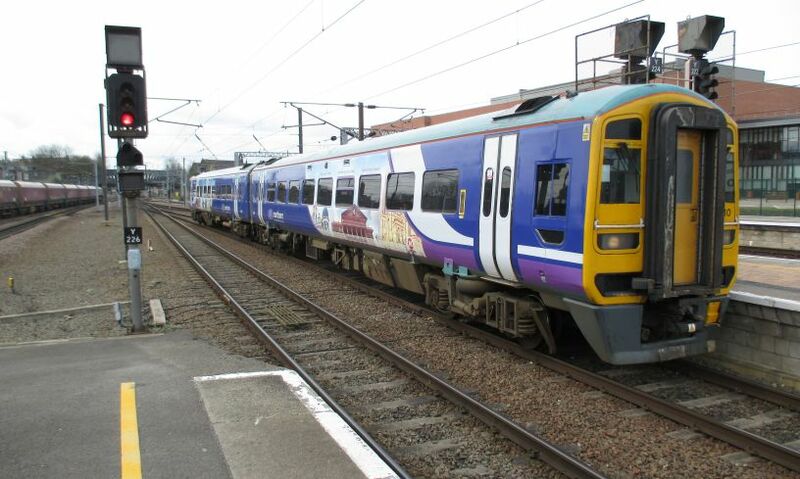 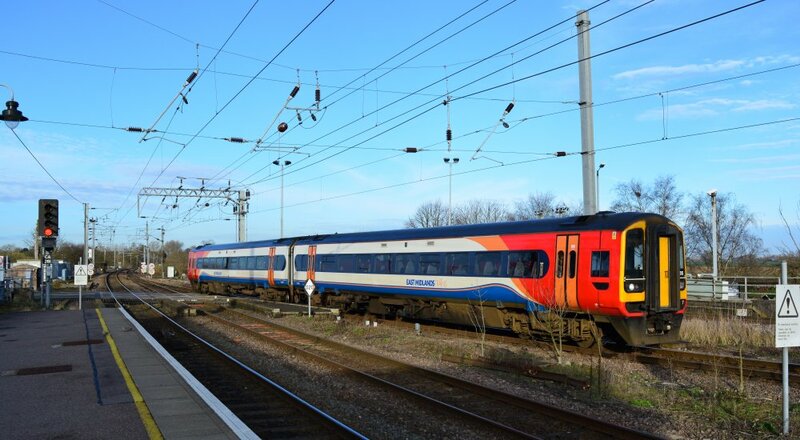 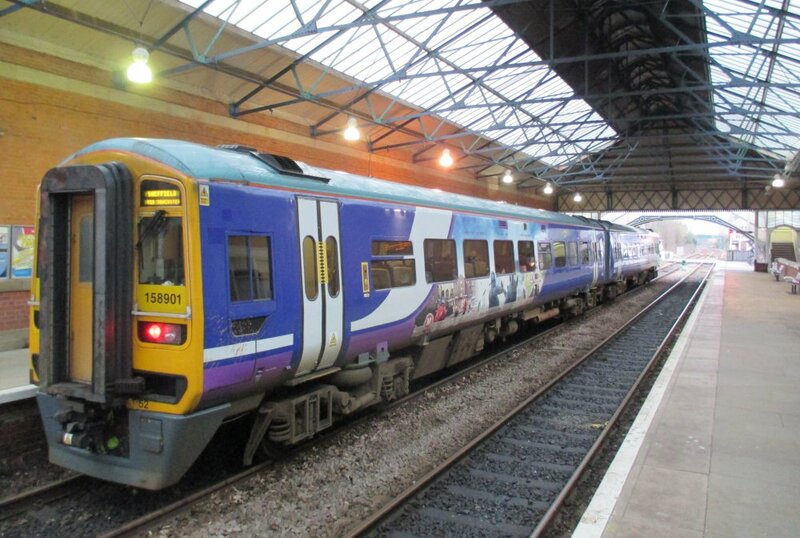 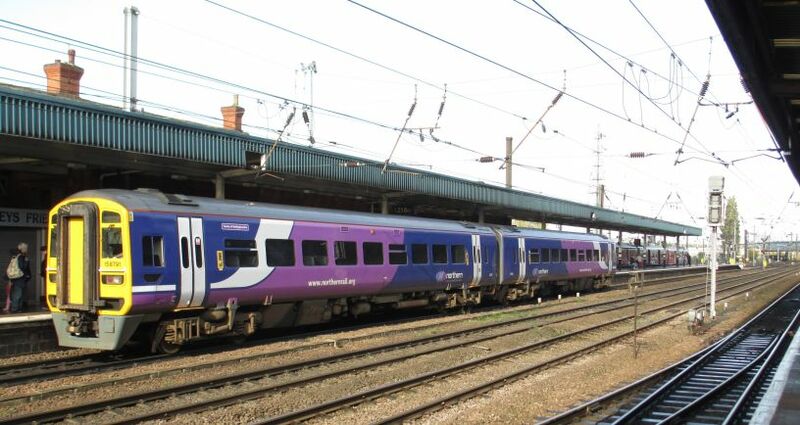 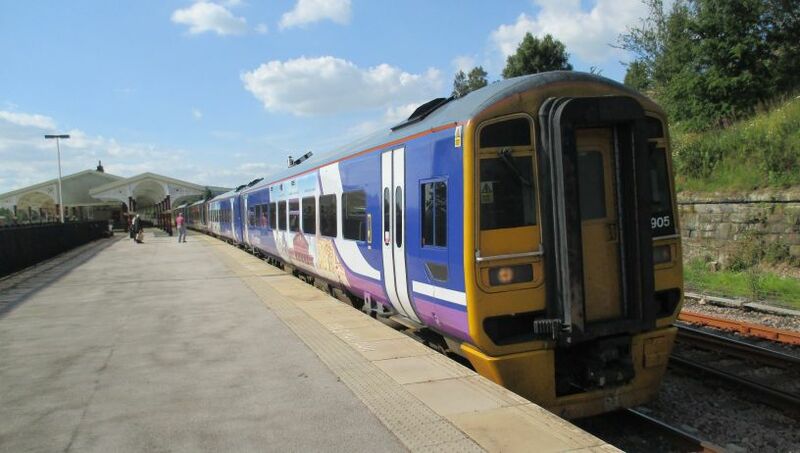 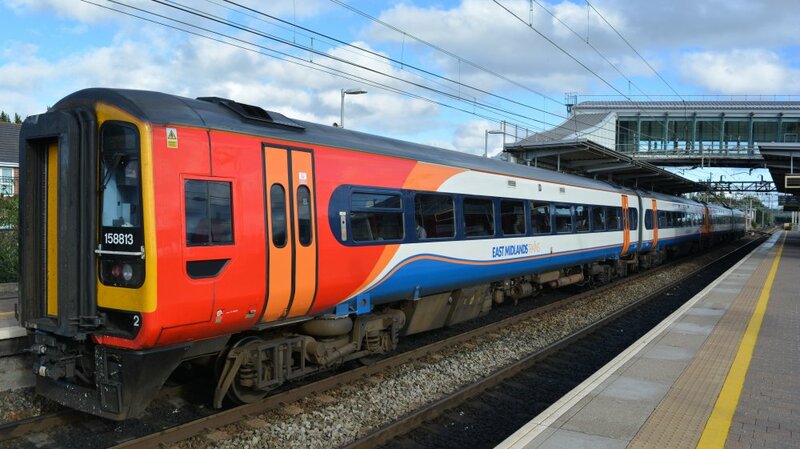 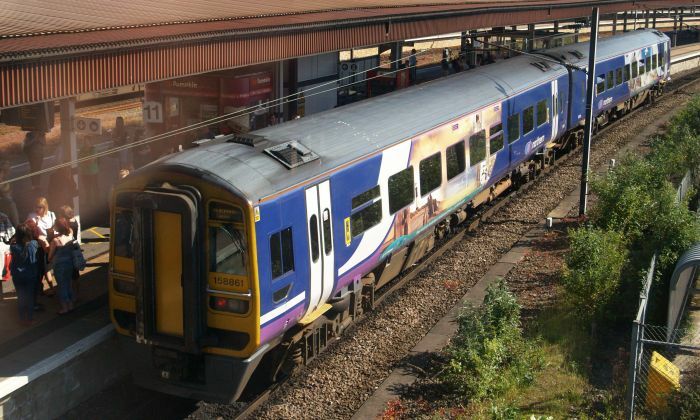 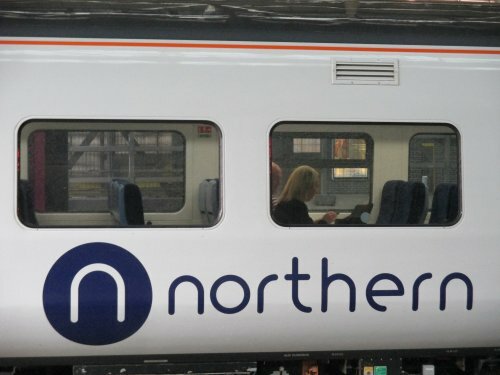 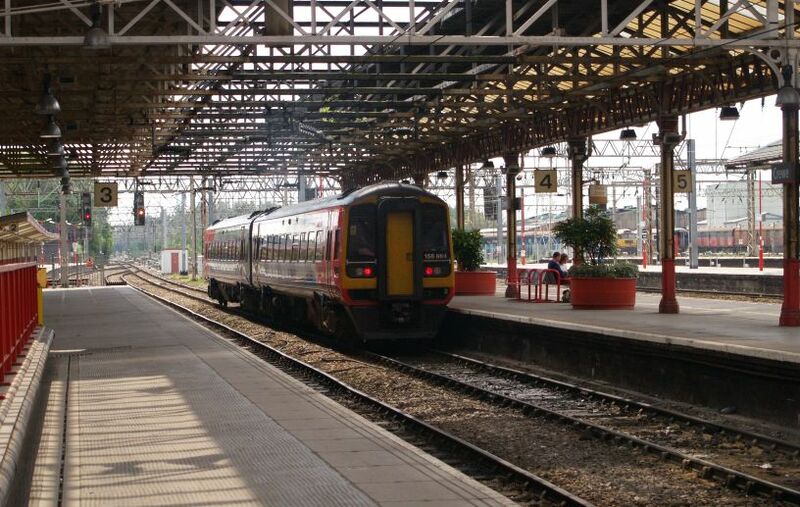 Class 158 DMUs usually operate as two or three car units and Class 158 trains have a maximum speed of 90 mph. 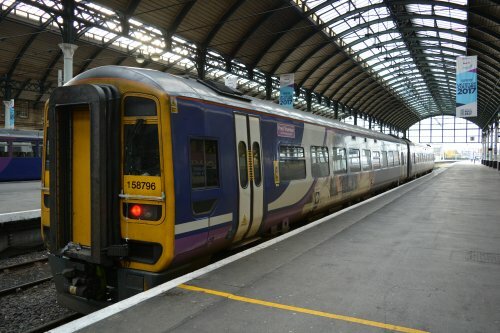 Class 158 158796, in Hull Paragon station with a train for Bridlington (November 2018). 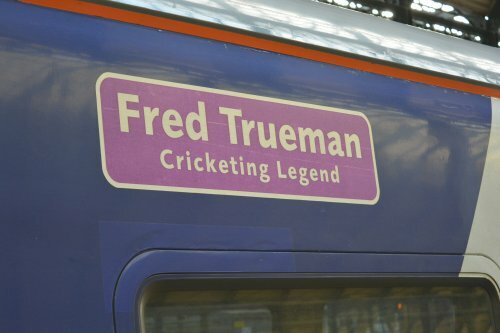 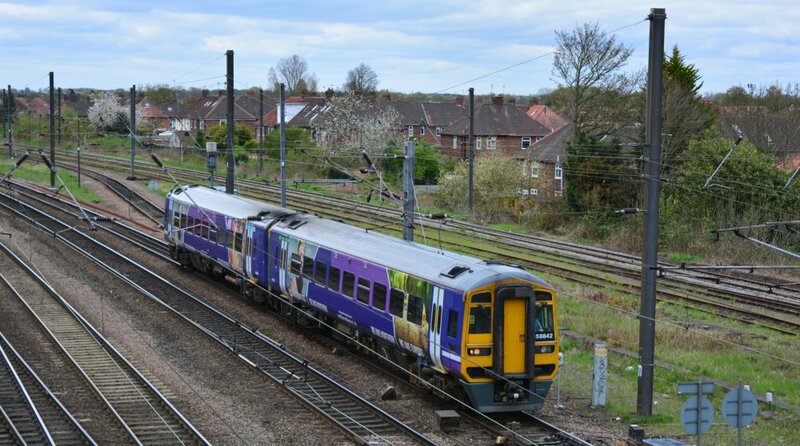 This Class 158 DMU, in East Yorkshire, is appropriately named "Fred Trueman Cricketing Legend"
In lovely winter evening light, a 2-car Class 158 DMU unit 158865 entering Ely station with an East Midlands service from Liverpool Lime Street to Norwich (08/03/17). 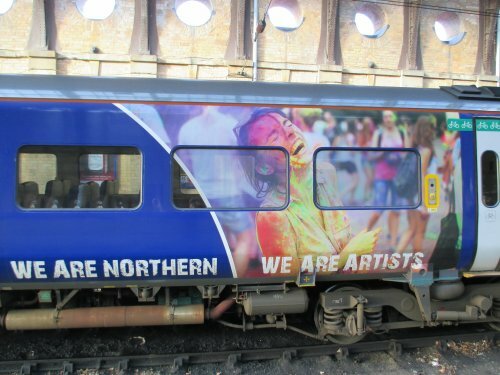 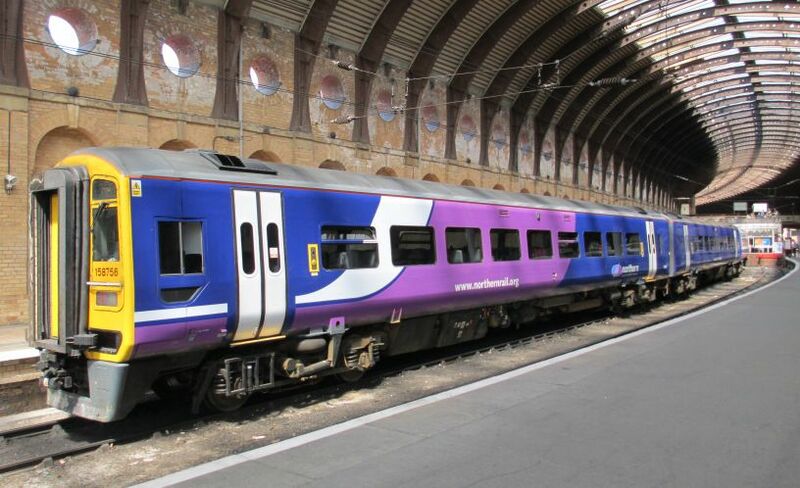 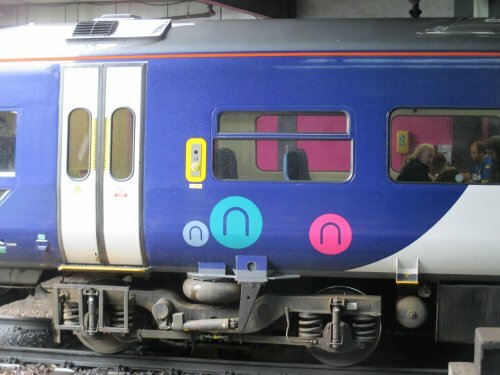 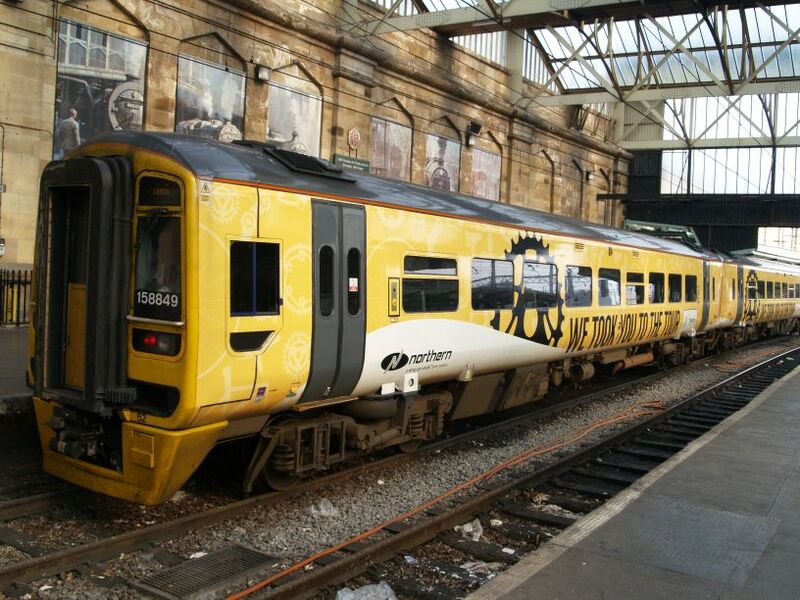 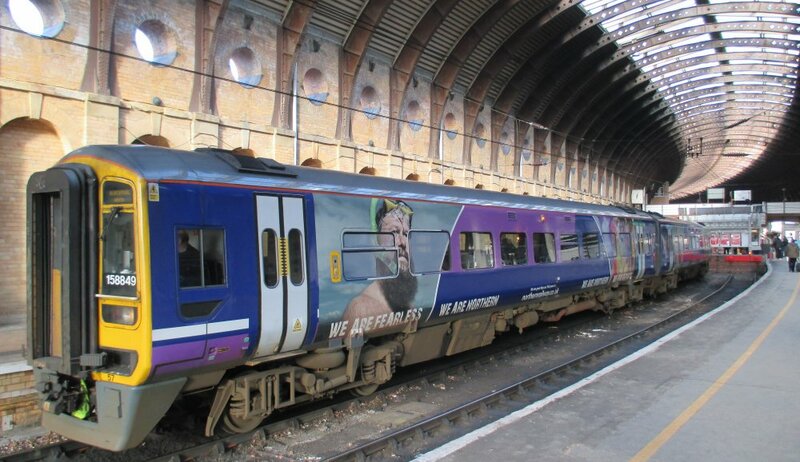 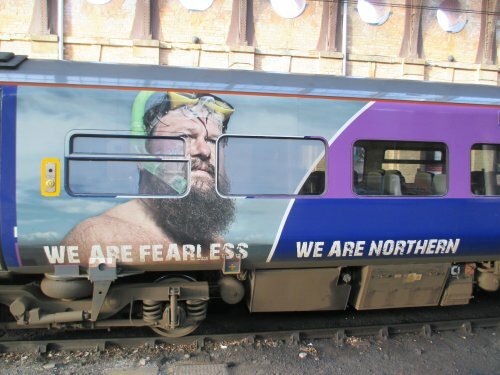 Class 158 DMU Class 158/9 unit 158849 at York station with a Northern Rail service from Blackpool to York and note the proudly painted 'northern' phrases. 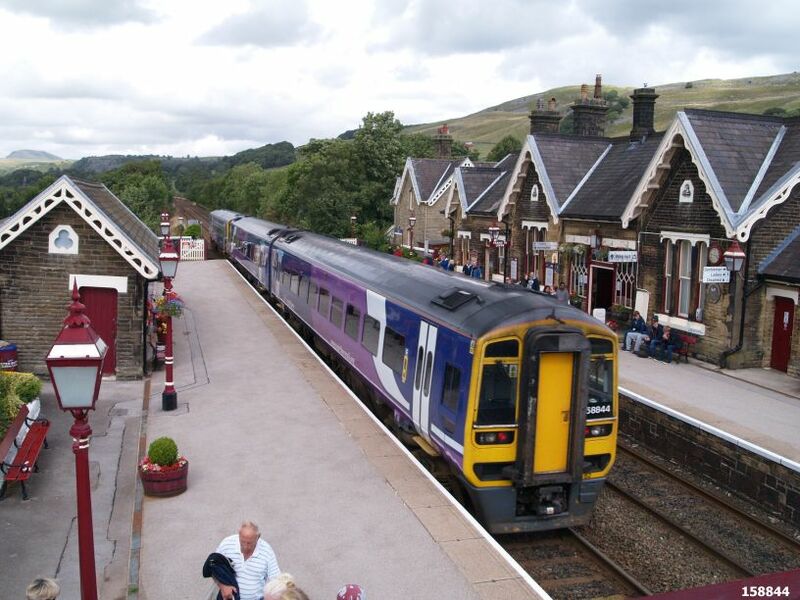 Class 158 DMU 158844 with a busy Northern Rail service from Leeds to Carlisle at Settle Station, about to start the very scenic Settle-Carlisle trip. 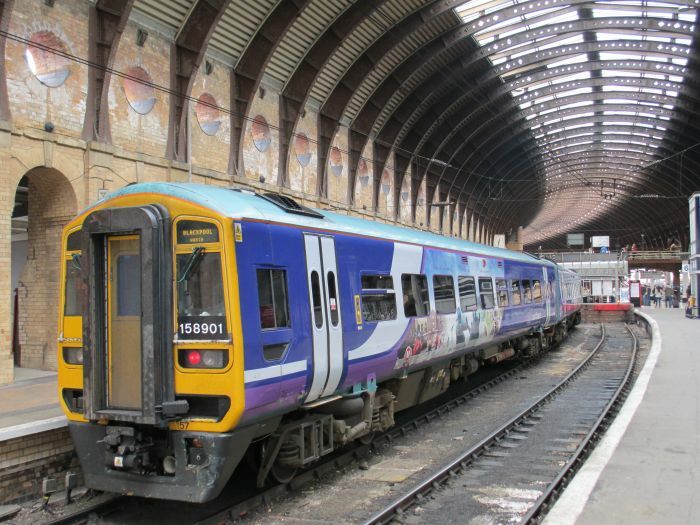 Class 158/0 DMU 158758 in York Station. 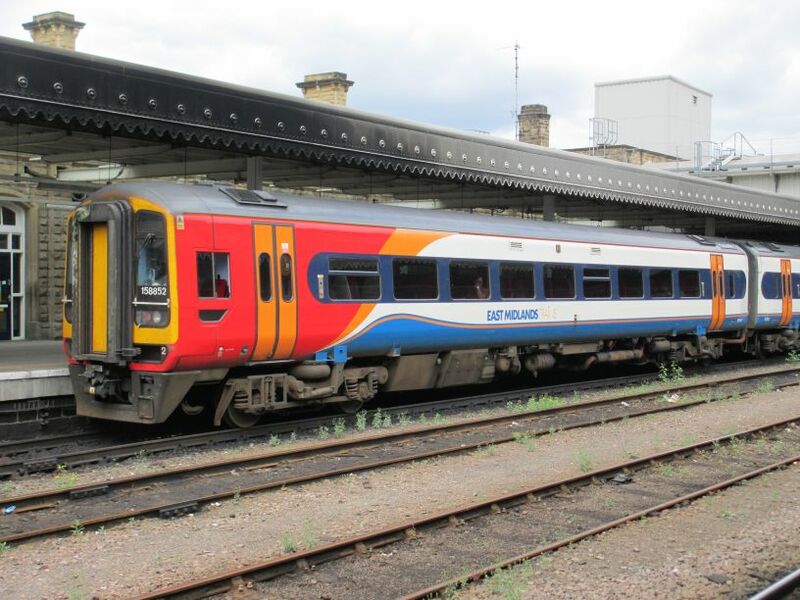 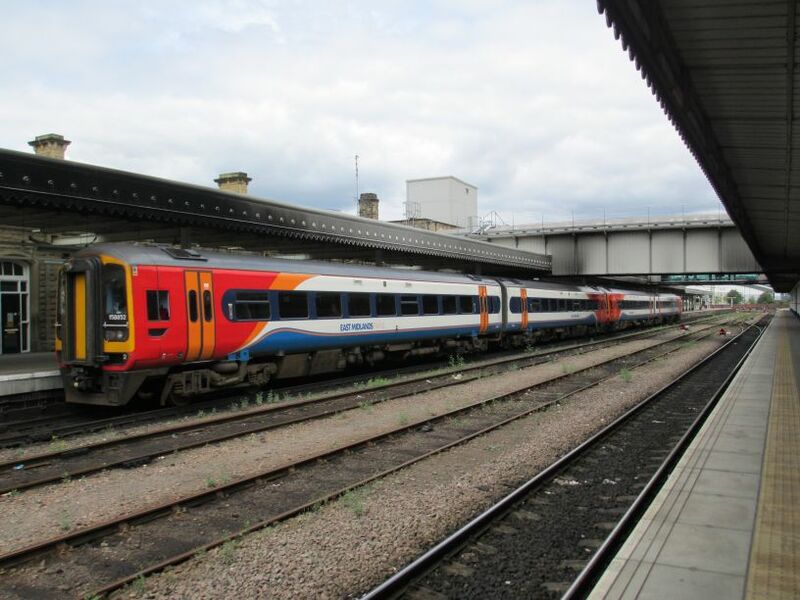 A Class 158 DMU 158783 with an East Midlands service from Liverpool to Norwich at Peterborough. 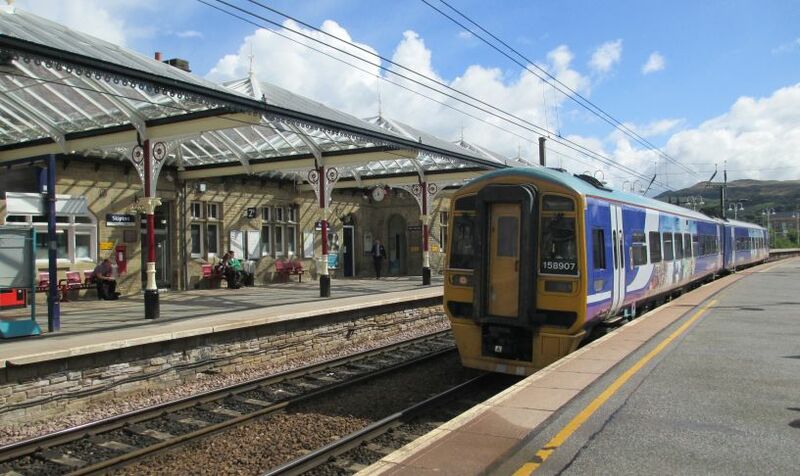 A Class 158/9 907 (DMU 158907) train for Carlisle at Skipton Station. 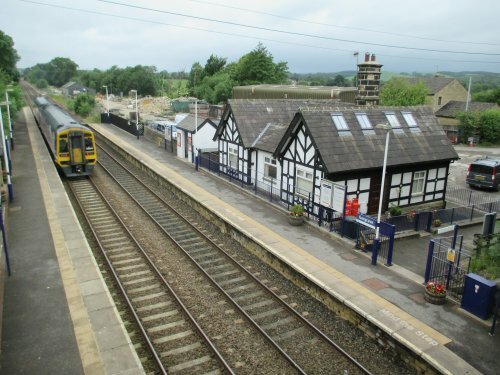 Class 158/9 908 (DMU 158908) at Skipton Station with a Carlisle Leeds train, on the left is a class 150 DMU. 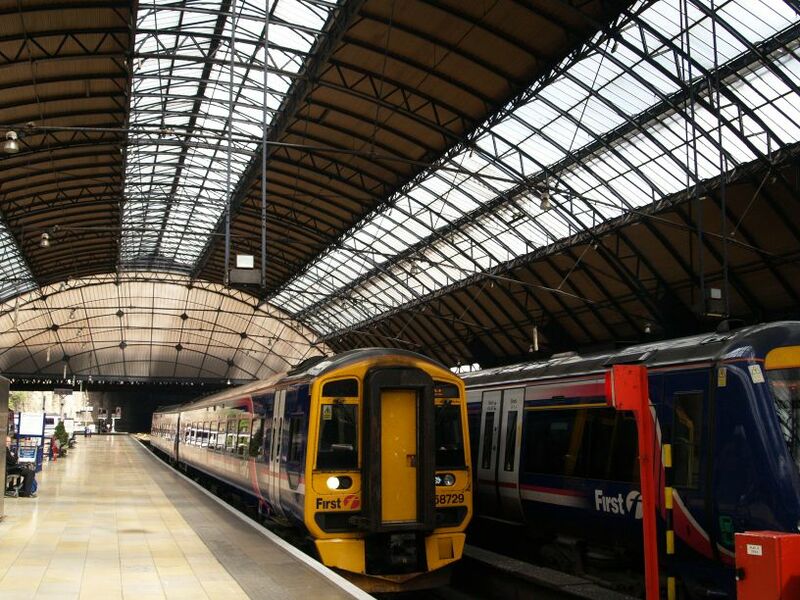 Class 158/0 DMU 158729 (158 729) standing in Queen Street Station, Glasgow. 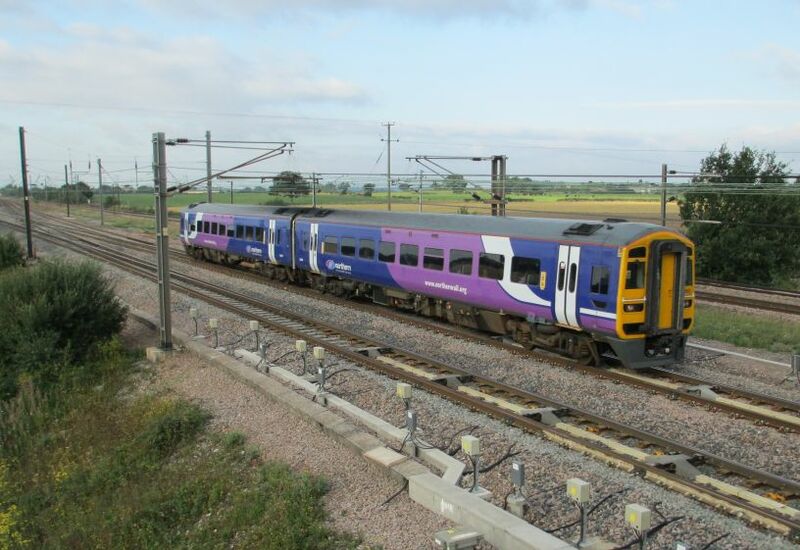 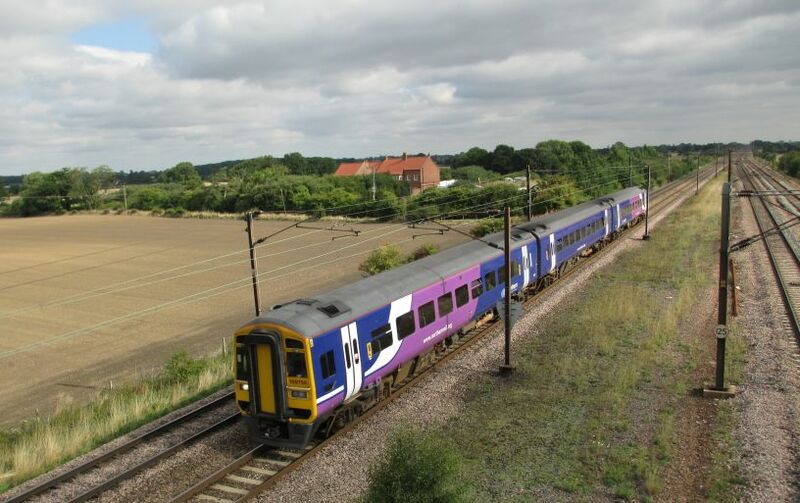 Two car DMU Class 158/0 158 817 (unit 158817) Northern Rail train from York to Selby and Hull, passing Copmanthorpe Crossing in June 2013. 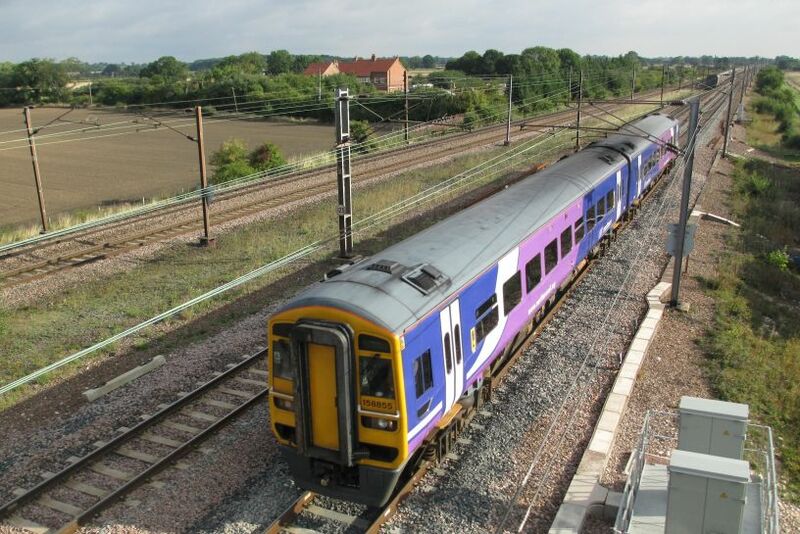 Three carriage DMU Class 158/0 158 758 (unit 158758) heading south from York at Colton Junction on the line to Leeds. 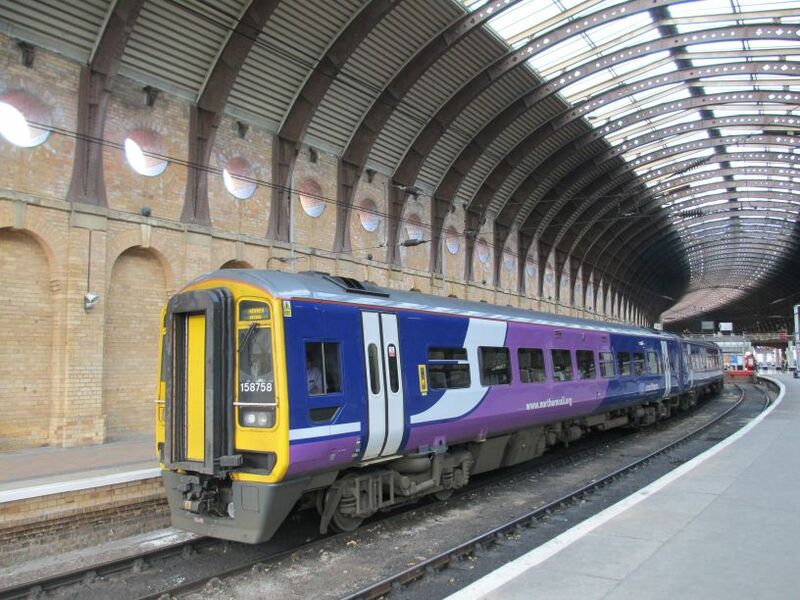 DMU Class 158/9 158901 (158 901) standing in York station with a train for Blackpool. 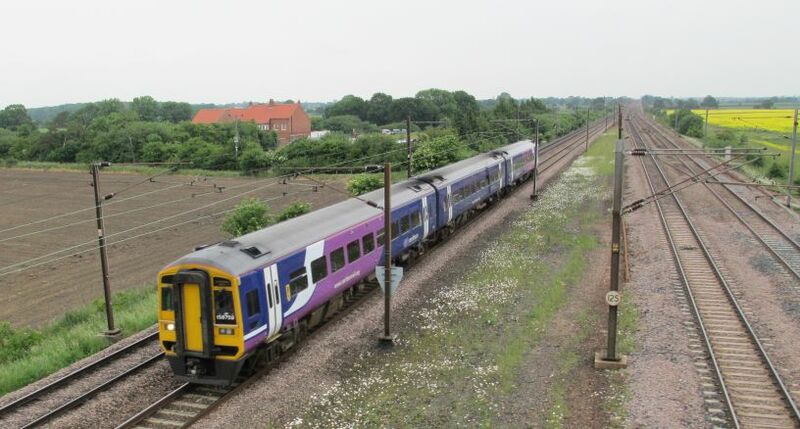 Class 158 DMU Hull to York train, at Colton Junction south of York. 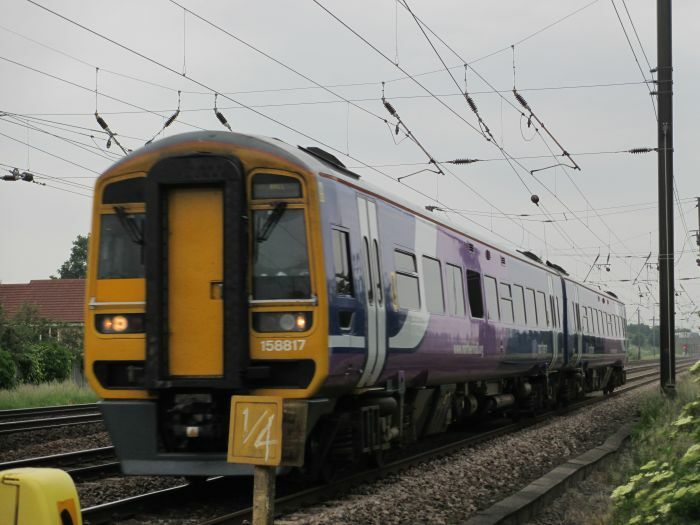 Class 158 855 (DMU 158855) south of York with a train for Hull. 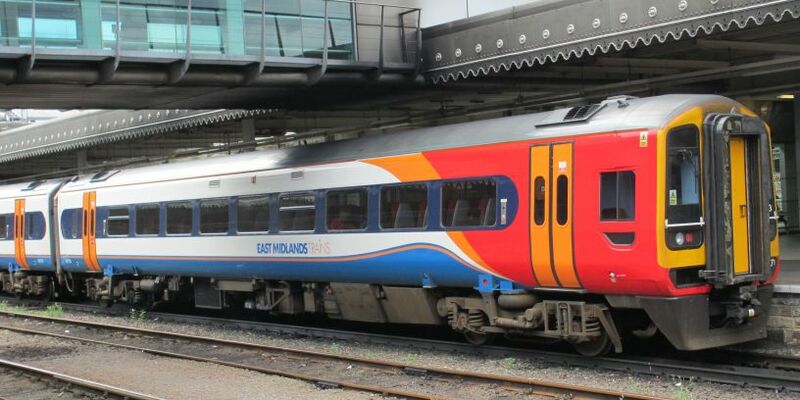 Class 158 791 (2-car DMU 158791) at Doncaster station with a train for Hull and Scarborough. 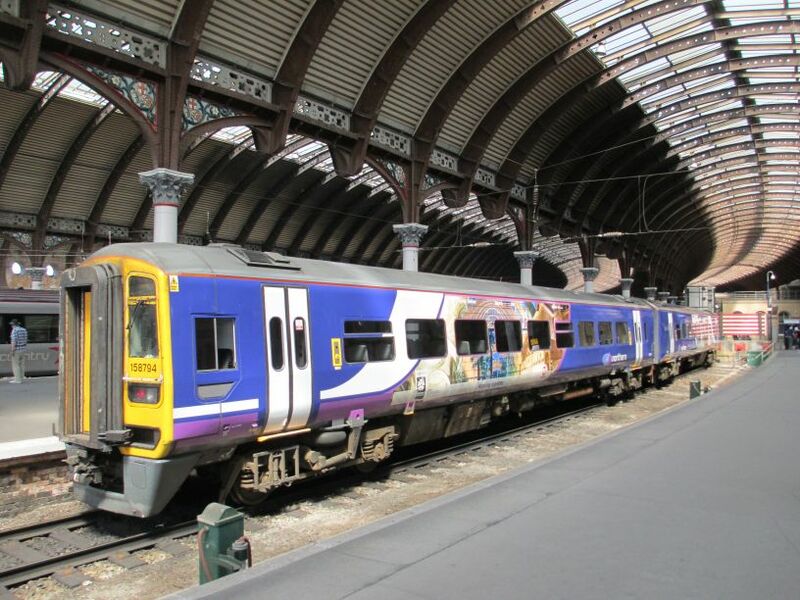 Class 158 unit 158901 at Beverley station in February 2017 with a Northern Rail service from Scarborough to Sheffield via Doncaster.